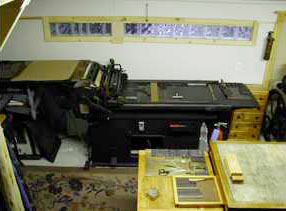 An automated cylinder press. 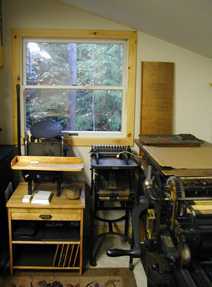 Prints between 2500 and 5000 impressions an hour with a maximum sheet size of 12 x 18 inches. 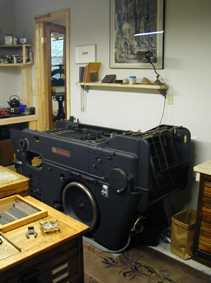 This press was made around 1942. 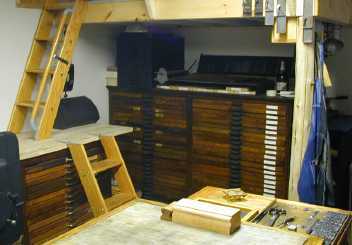 Type cabinets underneath the guest loft in the press room. Though we have few type faces for use at Deep Wood, the one we do have and use we have plenty of. 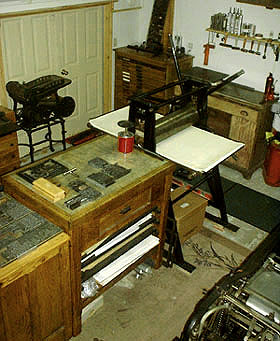 Cylinder press, hand fed, maximum sheet size 18 x 30 inches. This press was made in 1945 in Chicago. Addresograph Multigraph Corporation paper folder circa 1940. 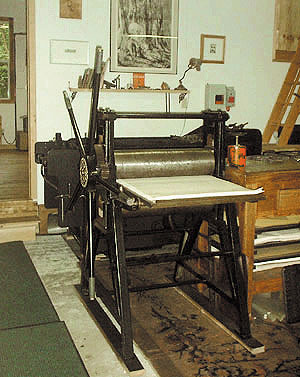 The intaglio press. Made by Fredy Re'em in Florence, Italy for the Botega D'arte Grafica (school) in Florence. It has a bed size of 25 1/2 x 47 inches and was made in 1963 after a 16th century design. 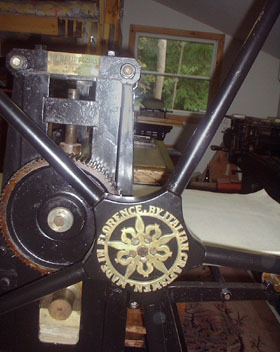 six presses were fitted with these.